What would happen if you surrendered to your talent? What if it were simple? 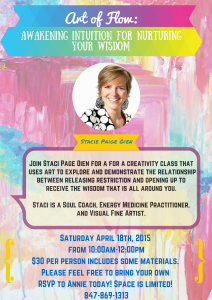 On Saturday, April 18th from 10am to 12pm Staci Page Oien is leading an art and creativity healing event. 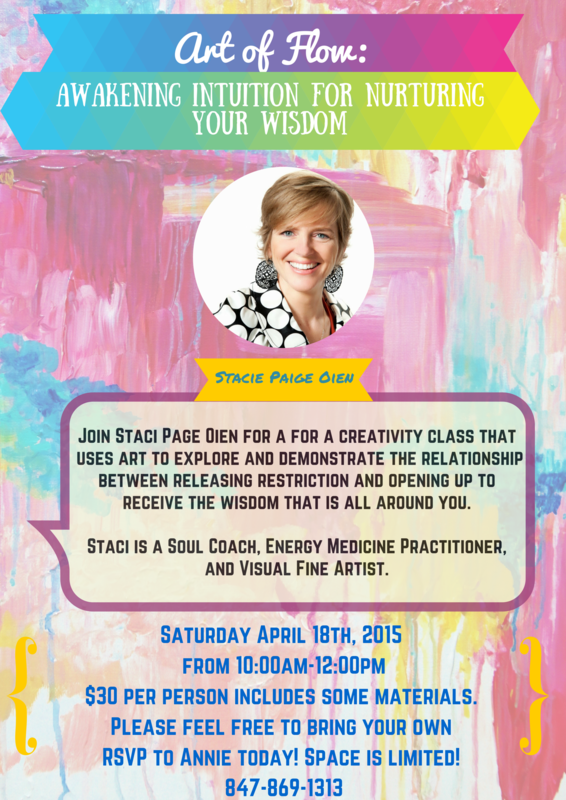 Join Staci Page Oien, Energy Medicine Practitioner, Nationally Board Certified and Licensed Massage Therapist and Visual Fine Artist; for an introductory experiential class about the relationship between releasing restriction and opening up to receive the wisdom that is all around you. Explore paths to gain greater freedom and confidence, and learn new ways to be at home in your body. Staci will demonstrate how she uses watercolor as a medium for receiving messages, raising frequency, and delving deep into the feminine nature of the divine subconscious. You will ask for messages from your guides and will leave with your own art piece plus a ritual to take home and practice on your own. Staci believes everyone has a healing artist inside! Come play and have fun exploring this meaningful practice! Free for all patients of Transformational Care! $30 per person includes some materials. Please feel free to bring your own if you would like. Space is limited so please call Chiropractic First at 847-869-1313 to reserve your spot today!